Two people were forced to flee their home at about 3:45 a.m. Thursday after they heard a strange sound and saw that the front of their house was on fire. The two adults were able to escape safely, according to a Puget Sound Fire media release. A cat was unaccounted for initially, but later found, according to a posted response to the Kent Reporter Twitter page. 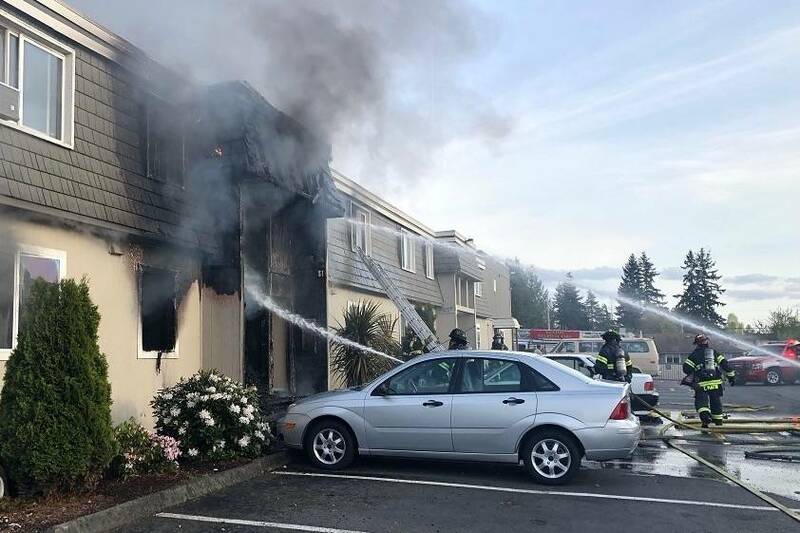 When firefighters got near the fire in the 13300 block of Southeast 263rd Place, they could see the glow of the fire and a large column of smoke in the area. The first unit on location radioed to the dispatcher that the first floor of the house was fully engulfed in flames. The fire had spread into the attic space, making it more difficult to fight. A hole cut into the roof by one fire crew immediately had fire coming out of it, though it was quickly extinguished. It took approximately an hour to fully contain the fire. Belfor (property restoration company) boarded up the house for free to protect the property, according to Puget Sound Fire.